Feeling Pretty In Pink in Carnoustie sportswear's 3/4 sleave cotton polo for ladies! Treat Yourself To Some Carnoustie Cotton For Fall Wear! What impressed me most about discovering Carnoustie Sportswear's polos for ladies, was simply how comfortable they are! In the heat of summer, I would normally tend to look for lycra or poly-tech based athletic wear that features properties of being airy, sweat resistant, or temperature cooling. However, as the first of the Autumn frosts roll in, I could not be happier to trade in my sleeveless athletic wear for a 100% cotton 3/4 sleeve polo by Carnoustie! Carnoustie cotton is some of the best one could ask for. When the weather turns cold, the only concern for a golfer is to put on something that keeps him or her from freezing in order to continue swinging freely. The fabric of a golf shirt can make all the difference. Carnoustie Sportswear uses a light-weight pima cotton for ladies polos that essentially feels as soft and cozy as that perfect, warm blanket one wraps up in on a chilly day. Carnoustie Sportswear has branched outside of menswear to offer the same level of care to women, and we're grateful for it! The Fall 2015 Carnoustie Sportswear collection now carries an assortment of ladies' feminine fleece jackets along with 3/4 sleeve and long sleeve cotton polos for layering up. The collection comes in a variety of classic colors that are as brilliant as one would expect from Carnoustie Sportswear. 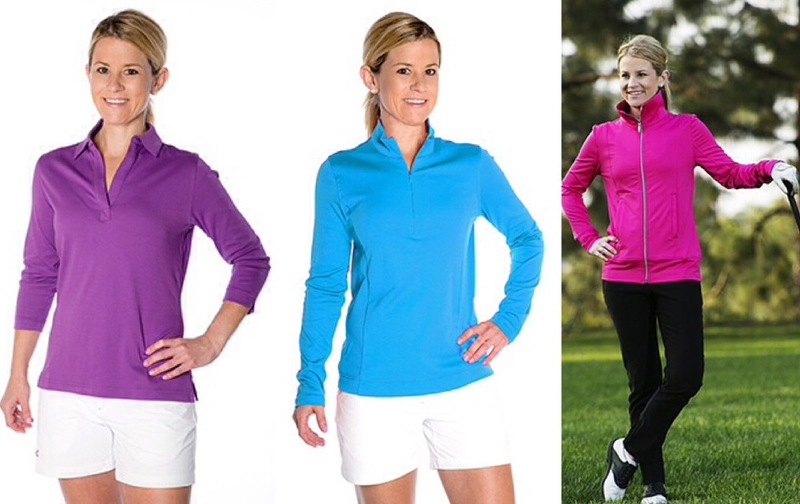 Visit carnoustiesportswear.com to shop Carnoustie Sportswear for ladies and make your 2015-16 Fall and Winter golf experience a more cozy and memorable one for the books. To learn more about Carnoustie Sportswear and Carnoustie For Men, visit my article at GolfFashoinWeekly.com!